Start the new year with a fun family activity! Join us and play games, eat snacks, and learn sign language. 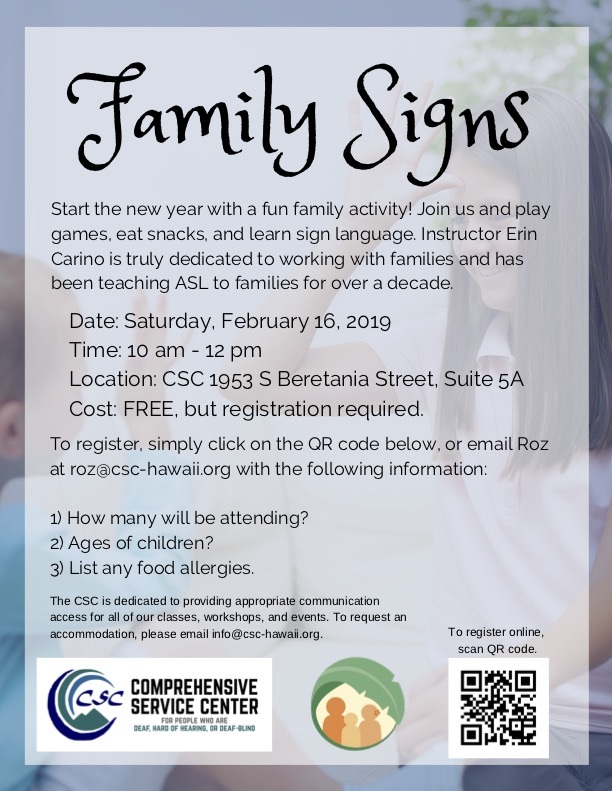 Instructor Erin Carino is truly dedicated to working with families and has been teaching ASL to families for over a decade.